Q: Do you take credit / debit cards? A: Yes! I take cards or cash but not cheques. Q: Is your treatment studio on the ground floor? Q: Are the therapies you offer safe for everyone? A: Generally speaking, yes. However, there are also some conditions that will require the advice of your GP. If you’re unsure whether a complementary therapy would be suitable for you, please give me a call, or book a free, no-obligation consultation. Q: Do I have to book a course of treatments or can I just have one? A: It depends why you want a complementary therapy. If you need help with a specific condition then it may require more than one treatment before you feel the benefits. 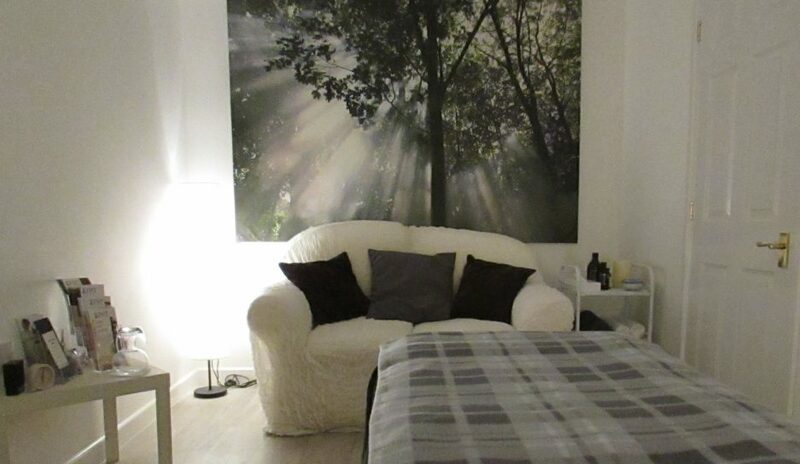 However, if your reason for wanting a holistic therapy is simply because you’d like some relaxing ‘me time’ or you just want to be pampered, then a one-off treatment is ideal. Q: Is there car parking at your therapy studio? A: Yes there is ample free parking, either directly outside or on the driveway. Q: Can I book an appointment while I’m on holiday in Burnham on Sea this summer? A: Yes! A holistic therapy would complement a relaxing seaside holiday perfectly. Simply contact me via the Contact Me form on this website or give me a call on 07854 612186. Q: Can you tell me how I can safely use essential oils at home, such as in the bath? Do you charge extra for this? A: No I don’t charge extra – it’s all part of your treatment. I will also advise you which oils will be most beneficial. A: Yes – they’re available for any amount – please use the Contact Me form on the website to order. Q: Do you do a loyalty card? A: Yes. When you’ve had five treatments, your sixth will be half price. Q: Is there anything I should / should not do after my treatment? A: Yes. After your treatment I will always give you homecare advice, verbally or in writing.